Two strokes of the Chinese ink brush make the first letter of the word "Global". They carry a meaning of harmony and fusion, which comes from the tai chi image and spirit. The strokes also suggest swimming fish, and the associated qualities of compatibility and freedom. The red and black are two typical Chinese colours. 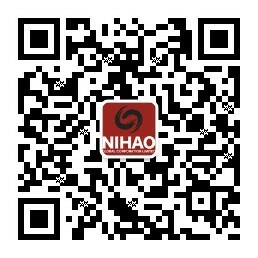 The word "Nihao" conveys a friendly attitude that is important to all people that are foreign to China; it is also the very first word every foreign friend learns on their China journey. The logo itself is in balance and harmony.